"The Eternals" comic book series, created by Jack Kirby in 1976, follows a race of ancient human beings created by the alien Celestials with the intention of them being the defenders of Earth against their destructive counterparts, the Deviants. 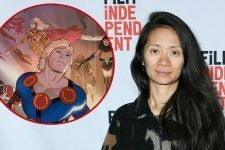 The story is reportedly centered around Sersi, a fourth generation member of the group born during the Hyborean Age who can manipulate cosmic energy to give her virtual immortality, invulnerability and molecular manipulation. 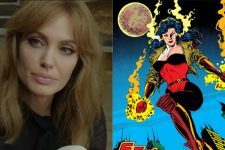 Marvel is reportedly circling Angelina Jolie for a leading role in The Eternals, but who will she play if she signs on for the film? 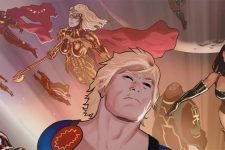 Marvel’s The Eternals will lean heavily into Jack Kirby’s ’70s comic run, with a storyline that spans thousands of years.